Over one hundred years ago John Redfield had the vision to create the best rifle optics around. Today, his vision is still being pursued in Oregon near his hometown. While the Redfield company has been merged with Leupold & Stevens, Inc., the company still manufactures and produces the Redfield Revolution line of scopes to the exacting standards set forth by Mr. Redfield himself. While the Redfield name and optics are manufactured and built all over the world, including China, Taiwan, and Mexico, the Revolution scopes are built, by hand, right in Oregon, USA. What Are Redfield Revolution Scopes and How do They Work? Redfield is the brand name; Revolution is the line. 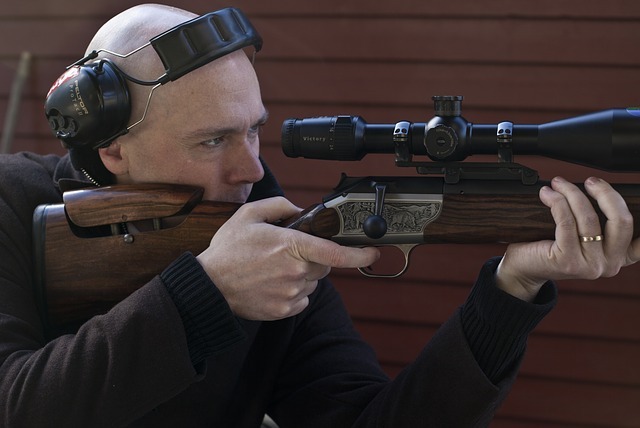 The rifle scopes are mountable optics for rifles and long barrel guns that increase visibility, sight lines, and aim. With the right scope, the hunter can see his target and take it down with a precise shot. Revolution scopes come in various sizes and abilities. The entire line is built in the USA and is one of the few that still start and complete production in the United States borders. Redfield scopes are designed with features and attributes that few other scopes can compare with. The initial design by John Redfield over 100 years ago was meant to give all hunters and riflemen a leg up in the hunting world. Designed to be affordable for any budget and work under extreme conditions, the Revolution line of scopes was born. Now, over 100 years later, the Revolution scopes are seen as a benchmark of excellence, craftsmanship, reliability, and durability. Each scope has a distinct purpose and mounts depending on what you are shooting. All the scopes are designed to fit most rifles. Leupold & Stevens, Inc. provides rings and bases for virtually any long barrel, 1-inch main tube diameter mounts and barrels that have a mounting space along the main barrel between 4.8 and 5.6 inches. 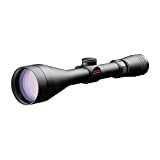 The 2 7x33mm scope is designed for hunting in short range areas where the sight may be darker, either through thick brush or dark trees and dense cover. The 3-9x40mm scope is the general “all-around” scope. It has the best mixture of high-end and low-end magnification and can be used for most short and mid-range shots in any conditions. The 3-9x50mm scope has the most light-gathering abilities and is designed for and relied upon by hunters who prefer the early morning or dusk hunting times. The 4 12x40mm has huge magnification and is meant for those that hunt long range in open areas. With this scope, you can zero in on prey up to 600 meters in the distance. John Redfield had a vision of bringing no-nonsense optics to the public. He did so with the Revolution line, which continues to this day. What Makes Revolution Scopes Unique? Redfield Revolution scopes bring together world-class attributes that set them apart from almost every other scope on the market. Let’s take a look at what makes them different. Each scope is made from 6061 T-6 aluminum. 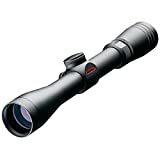 This gives the scopes a superior light weight and rugged durability. It also makes the scopes easier to zero in and maintain their sighting throughout the most abusive and prolonged use. The Illuminated Lens System (ILS) is a Redfield design to allow the scope lens to absorb the most amount of light possible, making each shot through the lens, clear and crisp. The scopes main tubes are all vacuum purged with nitrogen. When they are sealed they create a waterproof and fog proof lens tube no matter what conditions you end up shooting in. The lenses will never fog, grow dark, accumulate moisture or be subjected to interior water damage. Every scope is subjected to a series of brutal testing procedures to ensure that when you unbox the scope, it will perform as expected. Shockproof, easy to sight, simple to mount and ready to go virtually out of the box. 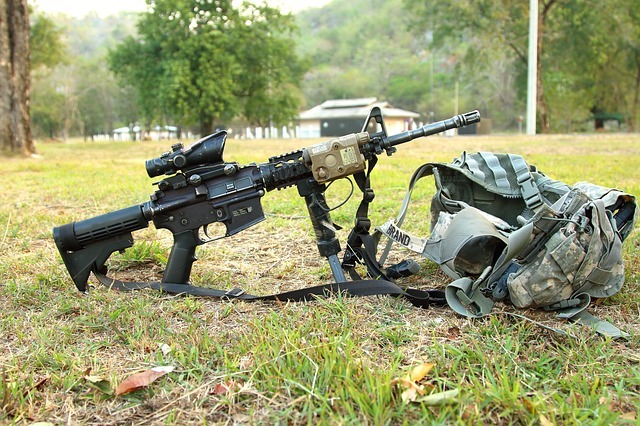 With a quick zeroing in at the range, you will be ready to hit the trail in no time. When you peer through the scope, the reticle should be easily seen and draw your eye to the center of the lens quickly. With Redfield scopes, you have a choice of three reticles. You will have to choose which reticle you want before ordering, as each one is made as needed. The Accu-Range reticle is the most popular crosshair in the Revolution line. It offers a bold mark just above the center to draw the eye through the lens fast and steady. The center mark is designed to be sighted at 200 yards for most loads. Following this then the lower marks correspond to 300 yards. The dot below the 300-yard sight represents 400 yards, and the bottom post is for 500 yards. This will, of course, depend on the weight of your load and the type of shot, but as a general sighting rule, 200 yards center line should be followed for the most accurate and easily sighted optics. The 4-Plex is another popular choice, which is designed to not have as many distractions in the optics. It offers bold posts that draw your eye to the center and hairline crosshairs for measuring the shot. Sighting a 4-Plex is a little more difficult than the Accu-Range, but for those hunters that prefer less clutter in their sights, the choice is the 4-Plex view. The TAC-MOA reticle is only available on the Revolution 3-9x40mm scope. It offers tactical elevation and windage adjustments. Each line represents 2 minutes of angle (MOA) and provides a far more accurate shot when used from 50 to 300 yards or more. When choosing the right scope for you, a budget will come into play at some point. As it stands, the four scope types, with the two reticle choices (or the TAC for the 3-9x40mm) are priced within ten to 20 dollars of each other. The Accu-Range reticle, with the bullet drop compensation (BDC), is slightly more expensive than the less obtrusive 4-Plex. You should keep this in mind when choosing your reticle before purchase. You can find the Revolution 2-7x33mm in the price range of $170 to $180 depending on the reticle chosen. For the Revolution 3-9x40mm, depending on the reticle, you can expect to pay between $185 and $200. The Revolution 3-9x50mm scope will have a price range of about $200 to $200 while the Revolution 4-12x40mm will run you between $225 and $245. The Redfield Revolution scopes have received rave reviews from as far back as 1907 when the first one was made. In today’s digital age it is even easier to find reviews, reports, and accolades for the scopes. What is difficult to find are complaints. Every scope, when researched online or in store, has over a 95 percent satisfaction rating with 90 percent of consumers willing (and eager) to recommend them to friends and family. What about that 5 percent though? The most common complaint is about mounting. The bases and rings are suitable for most rifles, but not all. If the mounting tube isn’t one-inch in diameter, you may have problems with the mounting. The second most complained about issue was the lack of end caps for the lenses. If this is going to be a problem for you, you can purchase caps from Leupold directly that will fit snug and secure. Other than those two issues, there isn’t much more to complain about. The glowing recommendations and reviews from actual users and buyers are astounding. A near perfect scope, with easy mounts, three reticles, and the Redfield ILS, you are sure to be happy with your purchase. If ever anything goes wrong, it will be replaced, no fuss, no questions, no excuses. The only caveat is that the warranty is non-transferable, meaning if you buy the scope, the warranty is for you and you alone. If you end up selling it to someone else, the warranty is voided. You will be hard-pressed to find another scope that offers what the Revolution line of scopes offers. With an unsurpassed warranty, 100 percent waterproof and fog proof tube and four options of magnification to choose from, the Revolution is heads above the competition. For similar style, quality and dependable scopes in the same price range, nothing really compares. Sure you can find a less expensive model with the same magnification power, but it won’t have the Revolution’s ILS, shockproof design or lightweight, and low profile. We try to be as objective as possible, but find it difficult to find a better option for mid-range scopes that are better than the Redfield Revolution. The four options of magnification and the additional options of reticles, make the line up hard to beat. There are a few very small issues that come up from time to time with the scopes though. Some mountings make it difficult to get the scope properly on your barrel. There are, however, third parties that have rings and bases that can make it work, you will just have to do a little more research. You may also find that the lack of end caps to be a bit off-putting. If that is the case, you can shop through Leupold to find caps that fit just fine. When you open the box, you will see you only receive the scope itself and a user’s guide. The rings and bases will need to be purchased separately, though they are fairly inexpensive and picking the right ones for your rifle are essential to a proper mount. As of this writing, there are no posted or announced deals through the website or third party vendors. If you are looking to save a little money, you can try looking for used scopes on sites like eBay or Amazon. You should note, that while the scopes may be in great condition when purchased new, the lifetime warranty does not transfer over to you. 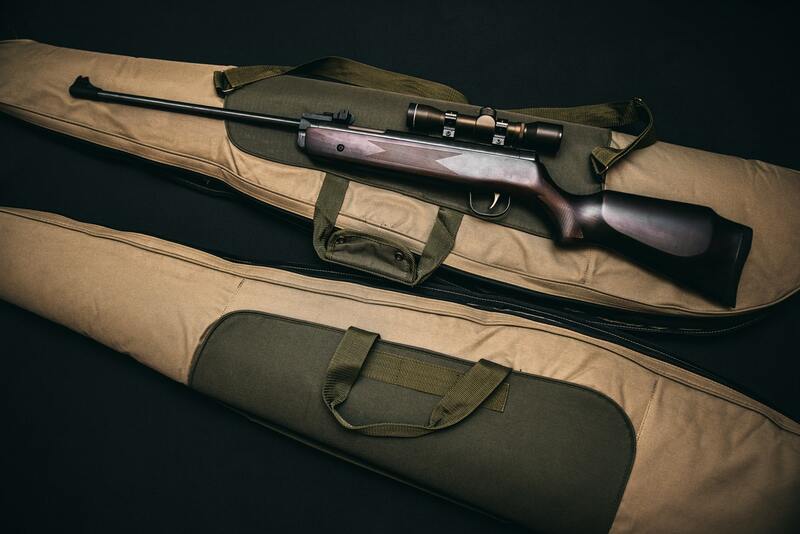 If you purchase a used or second-hand scope, there shouldn’t be any issues unless the scope was mistreated by the original owner. However, should something go wrong after you make the purchase, it won’t be covered. If you are looking for a new scope, whether you are a seasoned hunter or heading out for the first time, the Redfield scopes should be at the top of your list. It doesn’t matter if you hunt elk, moose or squirrels, there is a Revolution scope for you. With four models to choose from, your choices will easily match your needs. If you prefer to hunt long range in the wide-open countryside, the 4-12x40mm would fit you nicely. If you are unsure what you need, the well-rounded 3-9x40mm is easy to mount, simple to zero and offers a crisp, clear view with as much lighting brought in as possible. The other two options are great for low light situations such as dawn or dusk hunting and in areas where visibility may be hindered by darker backdrops. Don’t forget to choose your reticle, either. The Accu-Range offers a BDC that has become the standard for most models on the market today. If you prefer to have less optics clutter in your sights, the 4-Plex offers thin crosshairs and bold posts to draw your eye to the center quickly. Whatever your needs the Revolution has you covered.